I am not sure if Amira is a common name in the Netherlands, but in Arabic, Amira means princess… she is a princess :). Amira’s dad is dutch and her mom is South African (probably from Dutch origin as well), her brother plays the Violen, so Amira is probably not the only member of the family carrying an extra-ordinary talent. It is hard to find enough information about young and rising artists likes Amira, but one thing is abundantly clear; Amira sings because she loves singing; she doesn’t sing for fame or for money. 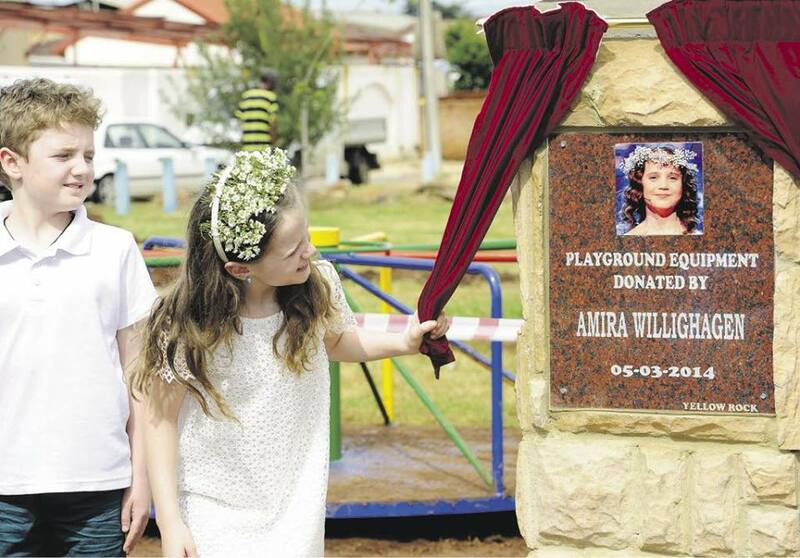 According to Wikipedia, Amira donates half the revenue she makes from performances and from selling her Album titled “Amira” to her own charity project which aims at building playgrounds for poor children in her mom’s home country, South Africa. Finally, :), I will leave you with my favorite song from Amira’s first and only Album “so far”. This child touches the very depths of my heart when she sings. I plan to get her CD’s and play them when I feel the world too hard and cruel. She is very fine singer, it is an example of how are dreams can take us to great heights when they are not disturbed, distorted, or misguided. Amira possesses a beautiful voice, something we don’t hear too often. She’s the closest thing to Maria Callas. But I still want her to take voice lessons to prepare her for opera, for finesse. Opera singing is different from stage as it requires projecting your voice without the aid of a microphone. And, on the case with Amira, she can achieve this with proper guidance and lessons from an expert. Amira has the most incredible voice ever ,close to Maria Callas ! I allways feel the tears welling up when this beautiful little girl sings this beautiful aria o bambino caro ! !She really is a mirical singer that tugs at one’s heartstrings with her fantastic melodious voice ! I simply cannot praise this little girls talent enough !! i’ve never written a comment on anyone but Amira moved my soul and her beauty both physical and as a singer made me cry with joy.